Great news!!! The Bay CE School are finalists in the 2018 Isle of Wight Sports Achievement Awards. The awards are a celebration of sporting talent and service to sport on the Isle of Wight. We are finalists in the Isle of Wight Sporting Primary School Award category. The awards ceremony is due to take place on the evening of Thursday 4th April 2019. Watch this space! U11 Girls’ Football: On the last Tuesday before half term our U11 girls’ team had their last League game against Gatten and Lake away. We had quite a few new players in the squad as several of the team were injured, poorly or unable to play. The girls who stepped in were absolutely superb and slotted into position seamlessly. The whole team worked their socks off throughout the game. We had Evie C at one end in goal fearlessly saving shots that came her way, and Evie F powering shots at the opposition’s goal. We had at least 20 shots on goal from several members of the team but unfortunately they all hit the post, were saved or were millimetres off target and we finished the game 0-0. The girls have had a good set of results this year and are now through to the League Quarter Finals which will take place at the start of the term. Well done, girls! The children all behaved brilliantly and were a credit to the whole school with the way they conducted themselves. Well done, everyone! Girls’ U9s Football: On Tuesday afternoon our U9 girls played a wet and windy game of football away at Newchurch Primary School. We had two new players on the team, Kaleigh and Ava, who both played brilliantly. The whole game was action-packed and the girls spent a lot of time fighting off the strong Newchurch strike force. Connie made some great tackles and clearances in defence and despite having some good runs at their goal we didn’t manage to put the ball in the back of the net and lost the game. The girls yet again improved on their last game and held their heads high as they walked off the pitch, proud that they never gave up and chased down every player and ball. We are all really proud of you, well done, girls! Basketball: Last Tuesday we took 20 Year 4 boys and girls to compete in our area Basketball competition at the Secondary Site. They were all very excited, and some a bit scared and overwhelmed, but they all managed to keep their composure and played some outstanding basketball. Our A team won every single game and finished top of their group, their best result beating Broadlea’s B team 10-0! Our B team didn’t win all of their games but had a fantastic 6-0 win against Brading Primary School and finished second in their group. The A team then had to play in the final against Newchurch’s A team where, unfortunately, they lost. But out of the 10 teams present we finished an amazing 2nd and 3rd overall! Everyone put 100% into every game and did us proud! Well done everyone. Thank you to Ruby, Julia and Megan for stepping in at the last minute. 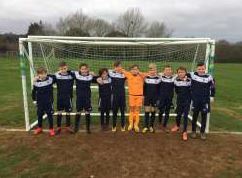 U10s Football: On a very foggy afternoon, our Year 5 football team travelled to Ventnor to play St Francis in their final group match knowing that a win would mean they finish top. Right from the first whistle, it was clear the players wanted to work hard together as team all over the pitch. After 5 minutes George H crossed the ball for Luis to finish first time at the back post. After our first goal, Evie and George H continued to dominate the middle of the pitch creating lots of chances with George PT scoring 2 more goals after brilliant effort to chase the ball down at every opportunity. Isabel, Harry and Harrison made sure St Francis didn’t have an attempt on goal. 3-0 at half-time. Quickly after the break, Ruben started a fantastic passing move by playing the ball to George H who released Harrison through on goal, but instead of shooting he unselfishly squared the ball for George PT to tap in for his hat-trick – awesome football all round. Harrison got the goal he deserved with a great run and finish and George PT getting his 4th after another superb pass from George H to give the team a 6-0 victory. This result means they go through to the semi-finals as group winners by scoring 21 and only conceding 1. 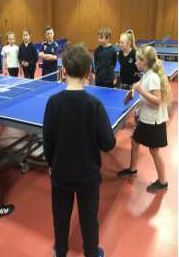 Table Tennis: On Tuesday, 10 of our Year 6s had the chance to try some table tennis and receive coaching and tips from some of the best players on the Island. As soon as we got there, the children were fantastically enthusiastic. They listened and tried all the activities involved, including a robot that fires balls to be hit back! All the children represented the school with pride and some are interested in taking up table tennis as a hobby now. The Smallbrook Table Tennis Centre has children’s sessions every Saturday morning 10am-12noon for only £3 – look out for posters around school. 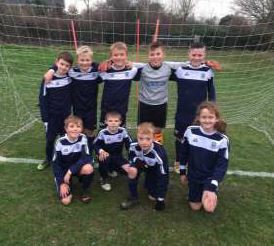 U11s Quarter-final: After a brilliant run of wins to qualify, our U11s football team played their quarter-final match against Holy Cross this week. The team defended incredibly well against some strong and skilful players with Oliver and Tommy making some vital tackles and Stan coming off his line quickly to clear the ball on several occasions. The Holy Cross goalkeeper pulled off a brilliant save from Cayleb’s free kick to make sure the game went to penalties. Unfortunately, luck wasn’t on our side and Holy Cross progressed to the semi-finals but every single player that has represented the team this year should be so proud of themselves after reaching the quarter finals for the first ever time in their last year of primary school. 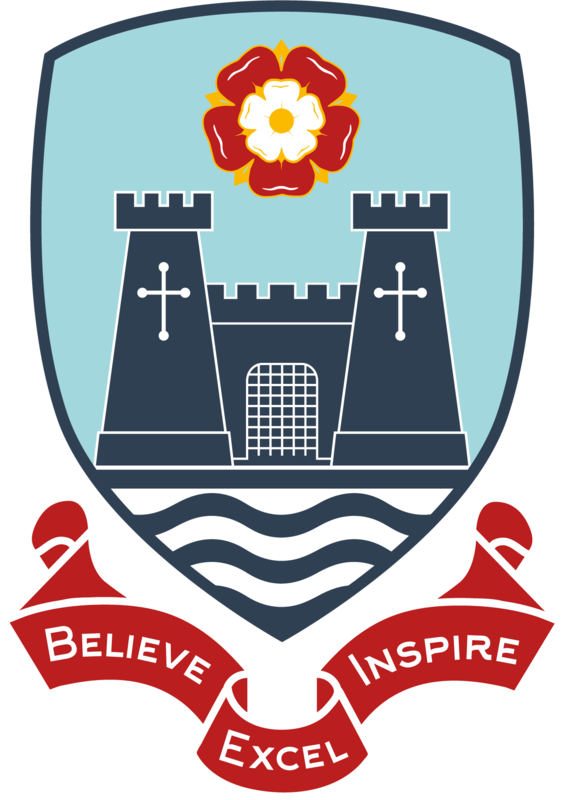 U9s vs Ryde School: Our U9s travelled to Ryde School to play their final group of the League knowing that a victory would confirm their position as group winners and progress to the quarter-finals. After a very slow start and looking quite tired in cold conditions, the team relied on Zac to make some great saves and ensure we luckily finished the first half with the score at 1-1. The team encouraged each other at half-time and knew they hadn’t played as well as they could. This really made a difference with great passing and moving that contributed to a dominant second half performance which resulted in a 5-1 win to top the group with 4 wins out of 4 – 19 goals scored and only 5 conceded. Goals were scored by Freddie 3, Isaac and Charlie. U9s cup Quarter-final vs Gurnard: In terrible, snowy conditions, our U9s faced a tough challenge against Gurnard in the Cup Quarter-final. The boys produced the best first half of football I’ve seen from any school team this year racing into a 5-0 lead at half-time! The excellent hard work from Bradley and Isaac on the wings today really made a difference, along with Freddie in the centre, they all played some great football that was a pleasure to watch. With the score at 7-1, we changed positions around to give players the chance to try new roles which allowed Gurnard to have more opportunities which they took well with the game ending with an 8-4 victory and now a place in the semi-finals. They should be very, very proud of themselves. Well done, team! Goals from: Isaac 3, Freddie 2, Bradley 1 and Jack 1. 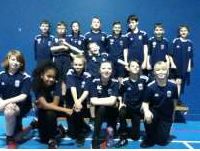 Last Thursday we took 18 excited Year 6 children across to the Secondary site to compete in the Area Basketball Competition. They played in two teams with rotations having to be made after each half so that everyone played as many games as possible. After some very tough games, against some very tall opposition, our A team finished 2nd overall and our B team 5th overall. Well done to everyone who played. At the end, the schools’ games organiser complimented the team on their teamwork and passing ability, commenting that, of all the teams, they were able to play the most fluent game, passing the ball around and moving into space to support each other. U9s Girls’ Football: Last Wednesday our U9 girls’ football team played their first home game against a really tough Newport CE team. Unfortunately the result didn’t go our way: despite a super goal from Skye and several shots that were just a few centimetres wide, we lost the game 1-4. The temperature was freezing and many of the girls had also been swimming in the afternoon but they still battled on and chased until the final whistle. Even though we lost the game, the girls had improved a lot from their last game: they were more organised in their positions and roles within the team and are becoming more confident when playing. 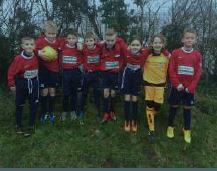 Our Year 5 football team made it two wins out of two games with a comfortable win against Queensgate. They played amazing football as a team and represented the school fantastically. Goals from Luis (3), George H (2), George PT and Ruben as well as brilliant defending and goalkeeping from Jim, Harrison, Isabel and Evie to ensure they continued to keep clean sheets. Our U10s started their football season fantastically with a 6-0 victory against Gurnard. We started slowly but some great defending from Harrison and Isabel kept the score at 0-0. With a few minutes until half-time, George crossed the ball in for Ruben to finish brilliantly at the back post. Seconds before the half-time whistle, Jim made a super and very important save to ensure we finished the first half 1-0 up. The second half started differently to the first with the whole team dominating all over the pitch from start to finish with goals from Freddie (3), George PT and George H earning the team a well deserved victory. An awesome team display from every player, well done! On Tuesday, our Year 6 team earned a crucial win against St Francis to put them through to the quarter finals for the first time! After a very slow start and with St Francis dominating, The Bay took the lead against the run of play through Jayden Barry after great work from Harvey Woodward who was superb all game. With the team still struggling to keep hold of the ball, St Francis scored 2 quick goals to give them a deserved lead. This kicked us into action and we suddenly started dominating the game and keeping the ball better which allowed us to equalise quickly with Harvey poking in after a big goalmouth scramble. With seconds left of the half, a St Francis player handled the ball just inside the area to give us a chance to take the lead. Milly stepped up and smashed the penalty in off the post to end an action-packed first half. The second half was a different story with Oliver, Tommy and Stan commanding our defence to keep our lead to secure qualification even when they put all their players forward with nothing to lose. We had a few chances to score on the break but couldn’t quite get past their goalkeeper. More importantly, the team made sure they didn’t concede a goal and can be proud of themselves for reaching the quarter finals! Last Friday evening we took some Year 3 and 4 children to Broadlea Primary to learn how to play Seated Volleyball and play a mini-tournament. It was a very long evening with the children not returning to school until 5.45pm but they were amazing and improved every time they played, listening carefully to all of the rules and instructions. The aim of the event was to provide opportunities to those children who don’t always get to represent the school, to meet new people, for them to learn something new and to experience a relaxed but slightly competitive environment. The results were not important but there was one result that the children were particularly happy about because they improved a lot during the game and really helped each other out………The Bay 21………..Newchurch 12!